The makers claim that the first Revolt electric motorcycle will be unlike any other motorcycle on sale in India. With dialogues around electric vehicles growing, and access to EVs being limited for lack of a fully developed system, our interest in EVs remains part fascination, and part novelty. And each time an electric bike comes along (almost), it piques general interest. In the last couple of months there’s been anticipation towards the Tork T6X, Emflux One, Menza Lucat, and more. However, there’s a multitude of factors that come together to keep concepts as concepts and the wait for an electric motorcycle keeps getting longer. Earlier in the week the Revolt AI-enabled electric motorcycle was spied, ahead of its launch in June 2019. Now the company, Revolt Intellicorp Pvt. 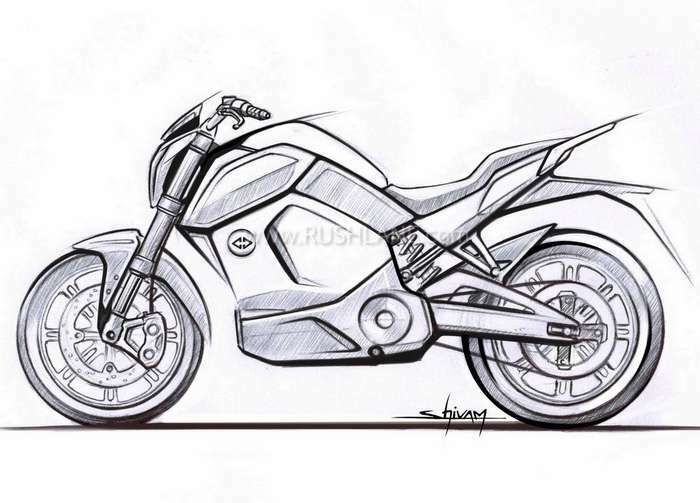 Ltd. Has released a bike sketch to offer an insight into what the future holds. Designed by Shivam Sharma, Chief Designer- Revolt Intellicorp Pvt. Ltd., it’s being described as the first AI-enabled motorcycle in India, and looks nothing like any other electric two-wheeler in the market. The revolt AI-enabled motorcycle combines aesthetics and form without compromising on performance. This addresses the first question that comes to mind. Can an electric vehicle’s performance give the same feel as that of conventional ICE vehicles? The sketch delves into the bike’s aerodynamics, key for performance at par or over par when compared to an ICE. Being AI-enabled makes it a smart bike. This is then combined with sports design language and a multitude of features that are essential to being a good two-wheeler. The company describes the design as ‘evocative and bold’. 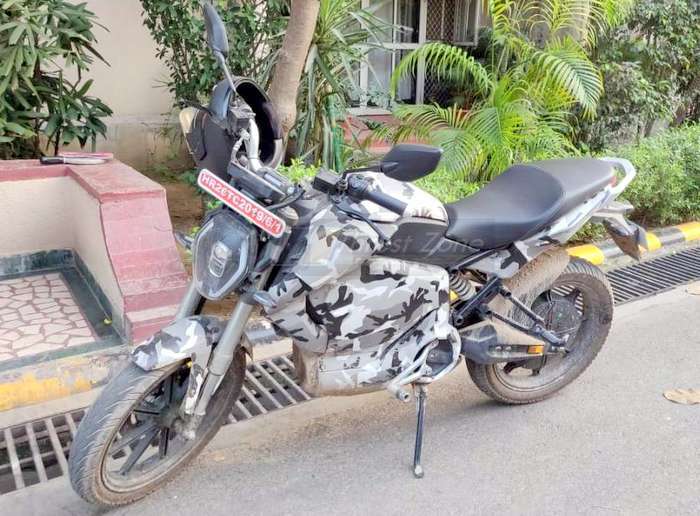 This alongwith functionality revolving around convenience of urban commute convenient, and a cleaner and sustainable vehicle is what the bike aims to be. Revolt Intellicorp Pvt. Ltd. has a manufacturing facility in Manesar, Haryana, and a R&D team based at its Gurgaon Hq. The team has been working for almost 2 years to bring to life the country’s first AI-enabled motorcycle.